“Big doesn’t mean slow”: under this slogan, CMZ, a European manufacturer of numerical controlled lathes, has launched the TD Z2200-Z3200 Series. In this Series, you will find machines measuring 2-3m between the spindle and tailstock for machining of large parts. CMZ is one of the main manufacturers of CNC lathe in Europe. Robustness, precision and reliability are the words that best define the whole range of products. Speed of 30 m/min in axes X, Z, Y. Integrated spindles cooled using oil. Furthermore, with CMZ’s 2 and 3 metre machines, we’ve said goodbye to obsolete spindles with reduction boxes. The spindle screws are cooled with oil and are machines that have laser compensation for all axes. It’s the small details that make these machines high-precision, reliable lathes. CMZ uses this margin for higher quality products, without this involving an increase in cost for the end client. For CMZ, the manufacturing process for its CNC lathes is crucial. So much so that, in 2015, Seuner was born. It is the group’s second assembly plant dedicated entirely to manufacturing all CNC lathes in the TD Series, from Z800 to Z3200. It is over 10,000 metres squared, with qualified staff, high-quality machinery and the latest advances in manufacturing processes: temperature control in the whole plant with variation of under 2ºC in 24 hours, a clean room with temperature, humidity and air quality control in accordance with ISO-8 for assembling spindles, air conditioned machine room, etc. 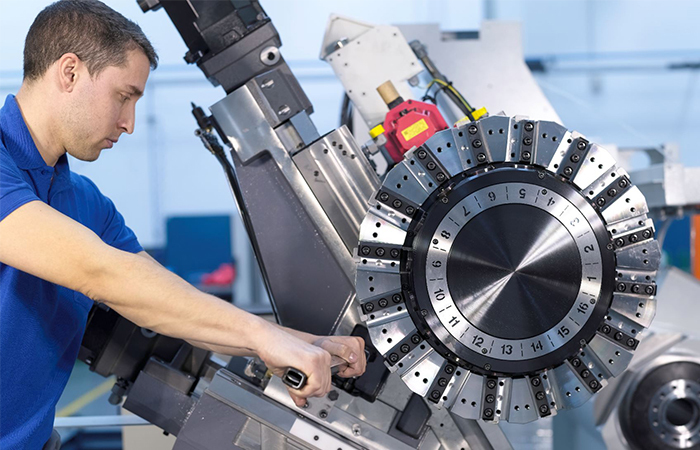 CMZ delivers an average of 2.5 lathes to its clients every day. This is possible due to the sustained and notable growth in productive and manufacturing capacity. In the coming years, it is expected that we will double our manufacture of large-size CNC lathes. It is a product that is continuously in greater demand on the market, and is very useful for sectors such as wind, petrol, gas, etc., which require large-volume machinery for machining large pieces. CMZ is not only a CNC lathe manufacturer. Another of its flagships is its after-sales service. It has a friendly technical assistance service that makes every effort to ensure the machines are synonymous with quality. The result? Machines with a life cycle of more than 20 years. In this time, CMZ stays close to its clients, and is available to resolve incidents and to give advice and training. Despite the volume of sales and the high manufacturing capacity, CMZ is characterised by being a family business. With more than 300 workers and a presence with its subsidiaries in the main European capitals, CMZ has managed to become a benchmark in the machine tooling sector. France, Italy, England and Germany are countries that have a subsidiary which offers a local technical service that is always prepared to tend to clients’ needs, as well as giving advice during the sales process. Most businesses in the sector are big multinationals. In this sense, CMZ is different and likes to emphasize its family nature, something that is felt in every part of the company. Currently, CMZ has a wide range of CNC lathes: from the always reliable TA, to the prismatic guide multi-turret machines from the TX Series and the powerful TD Series 2 and 3 metre machines. Anyone looking for a high-performance CNC lathe with the best quality-to-price ratio will end up buying a CMZ.